Spring is possibly my favorite time of year, especially after surviving a dreary, seemingly endless Inland Northwest winter. When snow begins to recede, skies turn blue, grass greens up and the first Easter lilies of the year pop up, it’s difficult to remain indoors and take work seriously. Thoughts turn to outdoor sport, if nothing more exciting than going for a long hike in search of shed antlers or the year’s first morel mushrooms, or to exercise the ballooning Labradors who have grown fat snoring before the hearth. 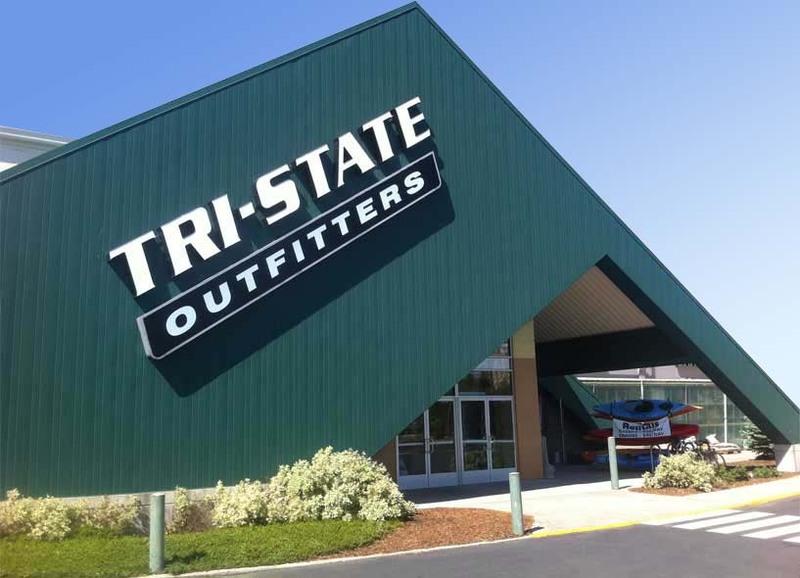 There is plenty to do come spring, but my passions normally run toward blood sport; spring’s gobbling turkeys and the first real fishing of the season large among them. Which really presents a conundrum. I wouldn’t miss spring turkey hunting for anything else, but it tends to cut into my fly fishing. Hit the water and I’m sure I’m missing a sure hookup with a booming longbeard elsewhere. To solve this obviously vexing problem I simply combine these two activities and keep both my selves happy. When you think about it this makes perfect sense. Breeding turkeys regularly gravitate to water, as hens need plenty of hydration to produce healthy eggs, and toms can get so wound up with breeding efforts they work up a sweat and bring on a powerful thirst. Do turkeys actually sweat? I don’t know, but you get the idea. Lake shores, river bends and creek bottoms are also places where the first tender-green shoots of spring grass appear, providing abundant food turkeys have been craving all winter. So it is no mistake where there is water, you will generally find turkeys. 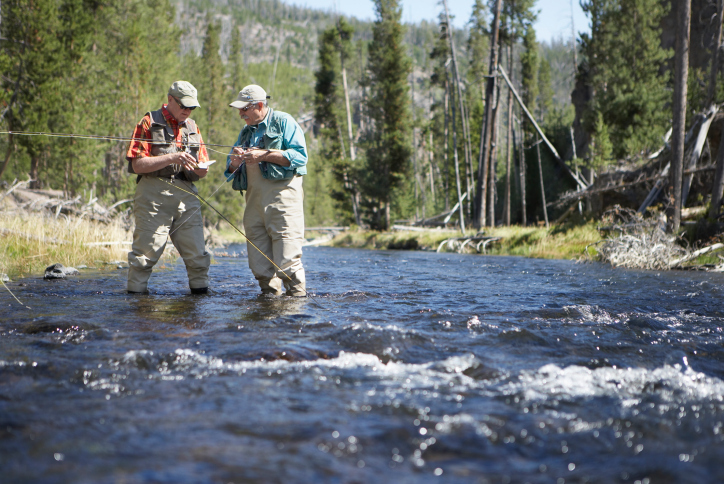 My favorite approach is to hike up a wilderness stretch of trout creek or river, not only leaving the masses well behind, but keeping fly-fishing water handy for that inevitable midday downtime. Ideally I’ve roosted a bird the night before, heading out in the dark of morning to arrive within calling range of the roost tree and start on a gobbler with sunrise. In more remote areas, where scouting ahead of season is complicated, I’ve also had good luck simply slipping up creek and river bottoms slowly, offering the occasional hen yelp, or crow-caw or owl-hoot call, to elicit an involuntary shock gobble. In big Western settings loud calls are best, reaching farther to help you cover more ground. Box calls are great for this, locator calls imitating crows, owls, or screaming peacocks—yes peacocks—also a standard. In a sizeable daypack I not only carry a hardy lunch and plenty of fluids, turkey calls and decoys, but a cased, four-piece fly rod, reel and box of basic flies. Depending on prevailing temperatures trout can key onto anything from small black Woolly Buggers (on cold, overcast days), basic size-10 or 12 Zug-Bug, Hare’s Ear or Montana nymphs (cool, sunny days) to impressionistic dries, like size-14 Light Cahill/Ginger Quill, Adams/Grey Wulff or Dark Hendrickson/Royal Wulff, lightest to darkest (warm, sunny days). 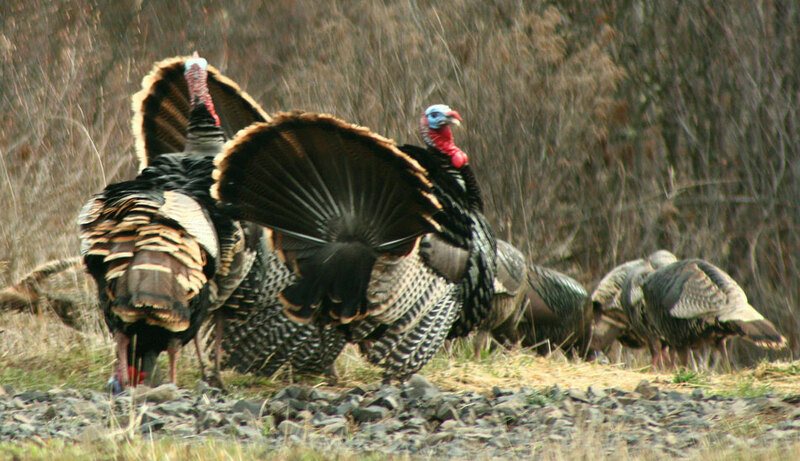 Spring also invites the first serious backpacking forays of the season, and there is no better excuse to trek well off the beaten path than the promise of undisturbed turkeys (especially when bowhunting) and naïve native trout. 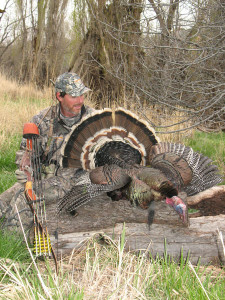 Spring is also the best time to hit area lakes, many of them providing access to excellent turkey hunting. 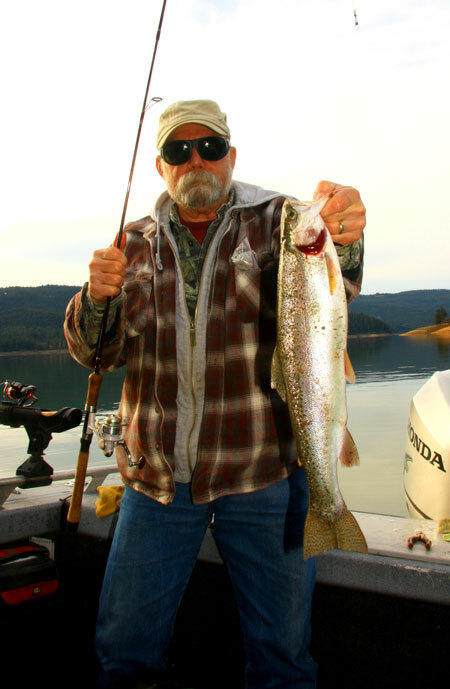 For instance, I live 20 minutes from northern Idaho’s Dworshak Reservoir, home to the state’s biggest smallmouth bass (the state record of 10-pounds, 15-ounces came from here) and excellent spring trout fishing. 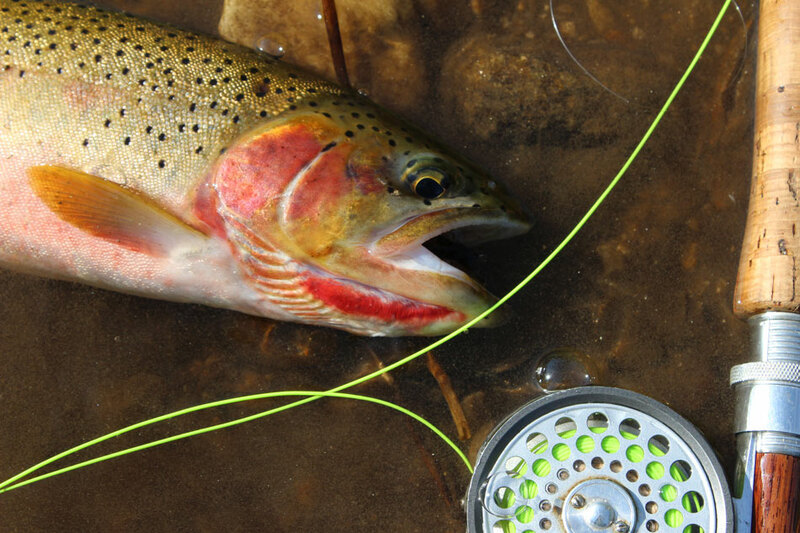 In fact, early spring can provide the best trout fishing of the season, hitting a cove of incoming water often resulting in non-stop action on worms or streamers. Spring also brings the smallies alive, my most consistently heavy bass invariably coming in early spring. More intriguing, Dworshak fishing really doesn’t kick off until sun has hit the water and warmed things a bit, giving you plenty of time for chasing early-morning turkeys. And the public-land shores of Dworshak are ripe with ideal turkey habitat—grassy meadows and yellow-pine roosting points—and filthy with gobblers. This does require trailering and launching a motorboat in the dark, but what spring-turkey venture isn’t without early wakeups. Ideally you’ll have a specific starting point in mind, though it’s certainly possible on quiet mornings to cruise promising shorelines—grassy, sloping or flat benches, not steep or rocky topography—with a silent-running trolling motor and listening for birds, landing, jumping out and setting up to call. I have to believe the Dworshak situation isn’t so unique to the Inland Northwest, much of eastern Washington, northern Idaho and western Montana rich with still-water possibilities. Friends tell me they listen for gobblers while slowly trolling for kokanee or walleye, or working points for trout or bass. 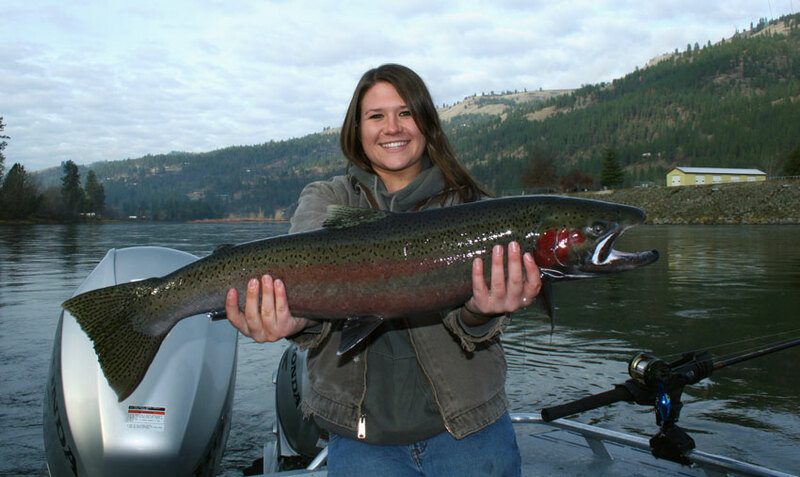 Of course, the weekend warrior can also pack camping gear and make an adventure of it, finding a gorgeous spring camping site and staying a few days, allowing you to get a better feel for where turkeys are hanging out, and what fish are biting. A lake-shore fish fry is a spring tradition with me. Smaller lakes or ponds, and gentle rivers, might also invite a leisurely paddle or float into areas seeing less hunting pressure. 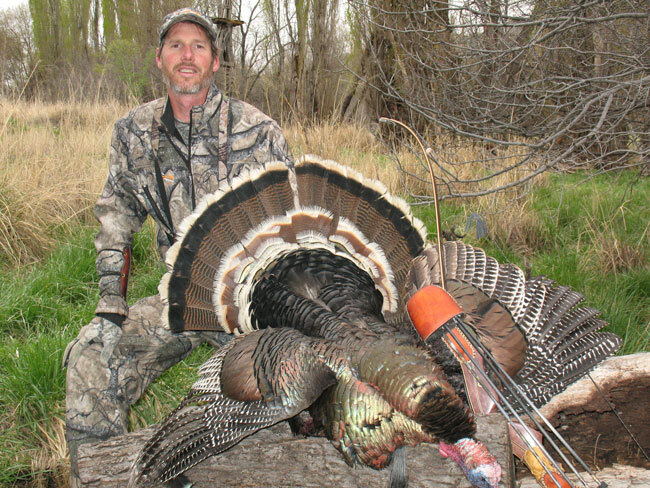 Sometimes simply shooting across a public lake or major river to access road-less shores beyond can open up better turkey hunting, also providing direct fishing access when the morning’s action dies down or your tag is safely tied onto your gobbler. On larger rivers, advanced planning, including a downstream pick-up vehicle, allows daylong floats, hitting fishing highlights along the way, a bow or shotgun stashed against turkey action. 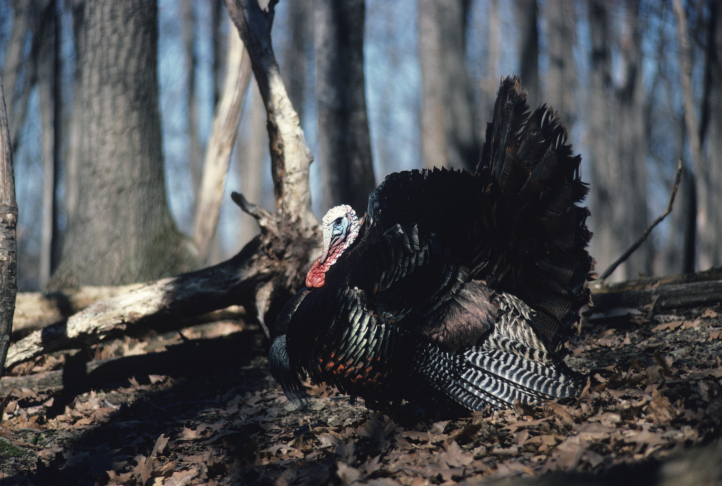 Every once in a while put down your fishing rod and offer a turkey call, just in case a gobbler is within earshot, especially when passing lush meadows or gentle points turkeys prefer. Spring only comes once a year, sometimes splitting outdoorsmen in several directions. To minimize confusion and indecision I’ve simply begun combining my two burning springtime passions, calling to love-sick spring gobblers and flicking flies to winter-starved fish.